Are you ready to incorporate more technology and less paper into your classroom? Google Classroom is the perfect solution! Your students will have so much fun using Google Classroom to learn more about digraphs. 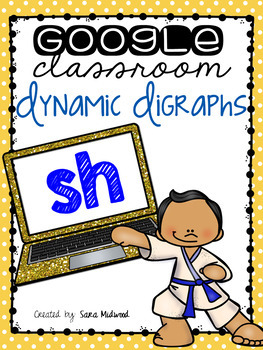 In this Google Classroom Resource, students will be getting a lot of practice with the SH digraph. The activity is based on different types of sports to keep students engaged! This activity is perfect for students to work on independently, students in need of extra support and class wide after focusing on the individual letter for the week. 1. 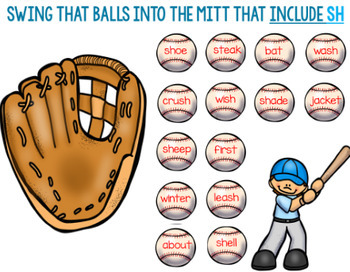 Baseball themed: Move the words that include SH onto the mitt. 2. Gymnastics themed: Sort the pictures that begin with SH and end with SH. 5. Volleyball themed: Sort between the beginning and ending SH sounds. 6. Dancer themed: Put a spotlight above the dancers with SH sounds on their costume.